What can you tell us about your new release, The Complete Collection of Short Stories? 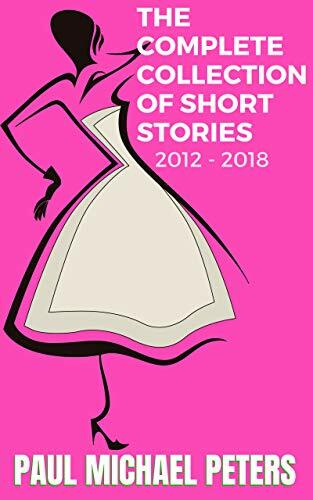 The Complete Collection of Short Stories 2012-2018 includes all of my work that not novelized over the last seven years. These include the publications of work “Mr. Memory and Other Stories of Wonder” and “Killing the Devil” with new tales only found in digital publications. Readers can now enjoy all 18 of these works in one location. What is exciting about this work for me is the creation of audiobooks. I was fortunate to work with super talents Linnea Sage and Paul Skye Lehrman (names I think you will hear more of in audiobooks.) These great talents brought new life to these works. They are magical and reminded me just how much I love to write, and why I wrote them. I hope that readers and listeners alike will find them just as enjoyable! For example, In the story, “A Wing and A Prayer” there was a sign at the Detroit Metropolitan Airport (DTW) warning of “bird calls” and the feathered friends living in the terminal. How did they get there? Who was hunting them? How were they surviving? On that flight, I put together a combination of ideas, and the wonderful story about brotherhood and solidarity story came out. What if your father was the greatest illusionist in the world? What type of joy and pain would that bring? I asked myself this one Thanksgiving in Maui watching a local magician and his family perform. The result is, “The Illusionists Daughter.” One of the great stories in the collection. I do hear that others are inspired, but I would describe this as an internal drive to answer questions. Who is your favorite fictional character from literature? Both Hannibal Lector and Larry Darrell have made me reread books they are in several times in my life. I am reading a lot about serial killers. This summer I will be releasing my third full novel “Combustible Punch.” A thriller scheduled for release in 2019 that explores the psychological dance between that most unlikely of odd couples: a serial killer and a high school shooting survivor. There is a chapter preview on my website. When I write, I get lost. I forget about my day job, the bills, the strife, and get absorbed in the problem-solving in creating. Days when I write I settle in with a good cup of coffee. Hours later time has elapsed, and I am spent. I have to get back to the real world. My career keeps me on the road 40 weeks a year. So my ideal vacation would be to own a small farm in northern Michigan with my two cats, a lama named Larry, and an Alpaca named Al. When guests come over, I can show them there is a real difference between the two, so they won’t be confused. It would be great to have sheep, one named Shaun, another named Shorn, and a third named Sean. Each season I would harvest the wool and make the worlds best mittens. Mostly, it would allow me that cozy spot by the wood stove where I could write all morning and read all night. What story in The Complete Collection of Short Stories was your favorite to write? It’s too hard to pick one. My favorites are Hickory Switch that sets the tone for the collection. Fukushima Gold was twisted in the way it came together. Readers tell me how much they enjoy The Illusionists Daughter. That’s a good one too.